As a student of Business Management and Mandarin, I had to make a choice of city in China for my year abroad. The year abroad, in my case, consists of two components: one year study and a two month internship. I decided early that I wanted to study in one city and do an internship in a different city, for different experiences. Originally, I was very keen on studying in a city in the southern part of China, for many reasons that include: climate, food, proximity to the sea, and much more. As a Portuguese person, I searched for a similar place to go to (and to make the cultural shock a little less noticeable! ), However, it went a little different than expected (in a good way!). I applied and was accepted for a one-year Confucius institute full scholarship in Harbin! The coldest city in China! This peculiar city in northeast China fulfilled my main criteria which was: must have majority Mandarin speakers, who speak in a standard way. My other criteria: I will study in a city where English is remotely spoken, so that I can have the best learning experience. I stuck to these two important criteria and must say, had a great experience learning Mandarin in Harbin. When it came to apply for my internship, Zhuhai was already on my mind. I wanted a place different from Harbin. I wanted to feel the warmth of the sun again, and so I did for two months in the lovely city of Zhuhai. As expected these two cities are extremes in so many categories, that some may ask „Why did you go to Zhuhai/Harbin?“. 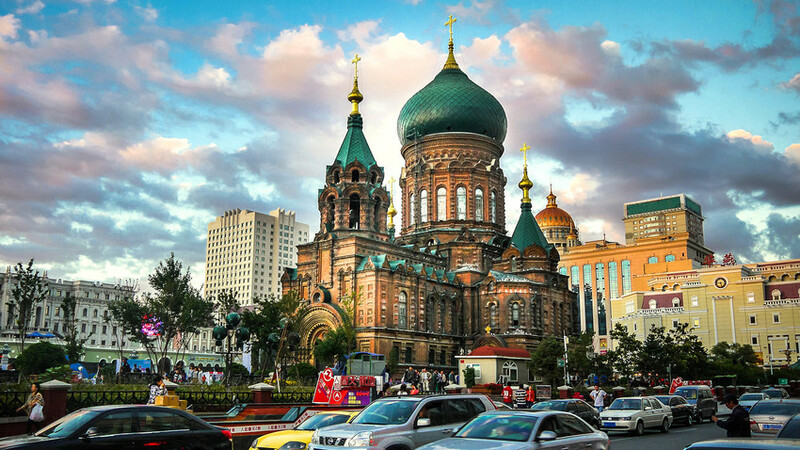 For those who aren’t familiar with Harbin, it’s a city located in Heilongjiang Province right at the top right corner of China, bordering Russia’s Siberia. So, one can imagine just how cold it is. Harbin’s winter lasts about 6 months reaching minimum’s of – 40 º C. Harbin is, in fact „the City of Ice“, famous for it’s ice buildings and statues and icy festivals. Moreover, it’s important to point out, Russian entrepreneurs who wanted to recreate their motherland, built the Harbin of today. So its buildings are very Russian, in the way they look, but with Chinese banners. It’s this odd combination that makes it such a peculiar city, interesting on the foreign eye. Zhuhai is the complete opposite. The buildings are tall, and mostly dark grey and white. While it sounds depressing, it goes well with the city’s landscape. Zhuhai is relaxing on the eye, because it is a mixture of human landscape and nature. Wherever you go you’re sure to see trees, bushes, anything that screams Nature. Beifang’s food (North China) and Nanfang’s food (South China) is completely different. Not only that, but also it varies according to the region. Harbin’s food is delicious, flavored and mostly fried. But I couldn’t understand why most food was fried. Until a teacher explained that due to the extreme cold weather in Harbin, there was a preference for oil-based food (it will heat your body and help fight coldness). 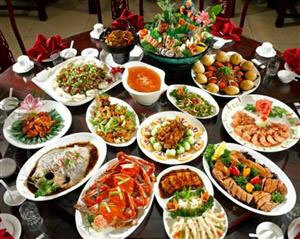 Zhuhai’s food is light, flavored and with a lot more vegetable side dishes. Both are not too spicy, so both Harbin and Zhuhai’s food are very delicious. That was, for me, the biggest difference between the two. While in Harbin, Chinese people tend to be more amazed whenever they see a foreigner for the first time. Nevertheless they are very welcoming and overall very curious about the countries we come from. They may even ask for a picture. Zhuhai’s people may also be amazed, but are much more relaxed when meeting foreigners. Overall, I found that a large portion of people in Zhuhai can speak basic english while no one in Harbin could. I imagine the proximity to both Macau and Hong Kong, two ex-colonies and now special administrative regions (SAR) played an important role in this. Harbin and Zhuhai are two very different cities in so much more aspects other than the one’s I have listed. That is the fun part and makes my first time in China so special. I highly recommend visiting both north and south china and deciding which one provides for the the most enjoyable experience.